Didn't wanna hijack anyone else's potato thread. 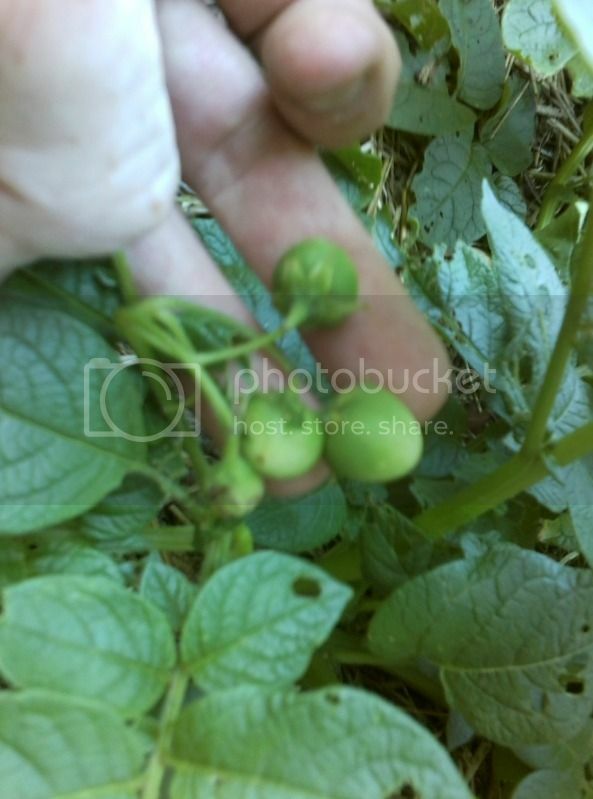 Just thought I'd throw up a couple pics of the no-dig potato bed and the 3 berries I found today! Yes finally, after searching and searching and watching flowers bloom and disappear. The berries are either on a one of the Yukon gold, or pontiac red plants. Both ones, from what I read, that never set berries.....I suppose there's always an exception. Neato! Mine are flowering now. I love how pretty the flowers are. If I remember correctly, you leave the fruit on the plant until die down. Harvest the fruit and tubers at the same time. Also, I read, Tom Wagner believes if the potato variety sets fruit it's the correct variety for your growing conditions. 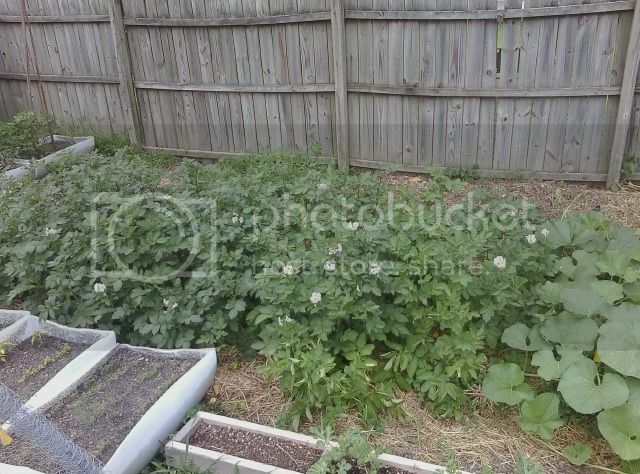 You may want to keep the tubers from the fruiting plant and plant them next year. Not sure, but you may get more and more top fruit each year. I read some of what Tom Wagner posted about potato berries. The man is an encyclopedia for potatoes! I'm sure I'll keep the tubers and fruits from that plant aside for next year. I'm hoping the seeds will allow me to experiment with different varieties of potatoes. Because if what I read is correct, seeds never grow true to the parent, so every time you plant seeds you basically get a new variety of potato. One variety of Tom's I'm growing is called. Skagit Magic. The plants have white, yellow, blue and purple flowers. If I end up with any fruit, glad to send you some. Send me a PM. If I end up with some unusual tubers they will be planted next year. Yeah, supposedly you can get some really cool ones. That being said, they don't all taste good, and they don't all look like what you'd commonly picture when you think "potato". It's sort of a taste test type of thing. And then when you find ones you like, you just keep the tubers from the plant to grow more of the same. using potato harvest for next seasons seed potato?